Feel like clowning around this weekend? Seriously. 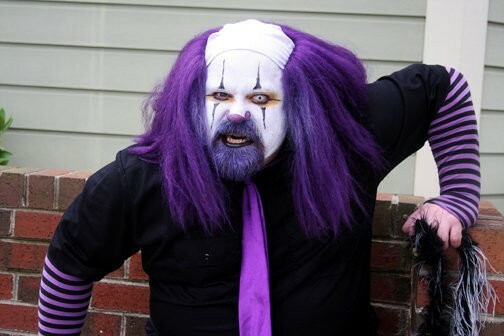 This Saturday, MB The Clown, Charlottes scary purple-dressed fiend (also, announcer for Charlotte Roller Girls, where youve no doubtedly seen him), will host an Evil Clown Bar Crawl. Folks attending are encouraged to wear make-up and dress in their clown best, big shoes included. The crawl, which is 21 and up, will start at Café Central and stop into a variety of other pubs, all of which havent been notified of the madness.